Worried about losing one or few teeth? Worried about your looks with missing teeth? Here is the permanent solution for you. Dental implants will help you replace your lost teeth and also will help you to recreate the lost charm. There are a lot of options that are available in dental implant surgery. It is wise to have a good understanding on the available options, to choose the right one that suits your need. Let’s have a look at the different types of dental implant options in Melbourne that are available. If you have one missing tooth and want it to be replaced, you can choose this option. A dental implant will be fixed to the jaw bone of the lost tooth, and will be let to heal. Once it gets healed, the replacement tooth will be placed over it. If there is two or three tooth in a row that needs to be implanted, it can either be replaced with individual crowns or with implant fixed bridges that support the implant, which cannot be replicated in any other treatment options. In case if the entire teeth have to be replaced, implant has to be placed for each and every tooth, and will be let to heal. Temporary tooth will be fixed until the implants get healed. Once it is healed, the replacement tooth will be fitted on to the implants. Few people may not possess healthy jaws, which are essential for the implants to be installed. This can be because of various reasons. In such cases the jaw bone needs to be rebuild and made stronger, so that the implant can be successfully installed. Bone augmentation needs to be done to make the jaw bone stronger. It is generally done using Bone graft, Sinus augmentation and Ridge modification. If the patient has proper natural jaw bone and an implant which can bear the pressure of a temporary tooth, a temporary tooth will be placed on it. Once the implant gets fused with the bone, a long term crown will be placed. These are smaller sized implant measuring less than 3 millimeters. This technique is used in people who cannot undergo the usual implant surgery. This technique is used in case of a full arch teeth replacement. Here the implants will be placed on the available bones and the entire jaw need not be strengthened for this process. 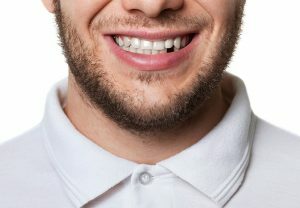 There are lots of teeth implant options in Melbourne that are available. It is left to us to meet a dentist, and to choose the best option that suits our requirements.